The issue of which gender is more generous has been debated for years. A new field experiment conducted by scholars at the University of Chicago and University of California, Berkeley shows that when it's easy to avoid making a donation, such as not responding to a door-to-door solicitor, women are less likely than men to give. The results of the study are published in the article, "The Importance of Being Marginal: Gender Differences in Generosity," in the May issue of the American Economic Review, Papers and Proceedings. The study tested people's motivations to give, whether they responded to social pressure or from an attitude of altruism, said John List, a UChicago economist and expert of philanthropy. In the study, researchers visited neighborhoods to raise money for a local children's hospital and an out-of-state environmental organization. In one part of the study, visits were unannounced. In two other parts of the study, people received fliers—either announcing the solicitation the following day or giving people an opportunity to opt-out of the request for funds. 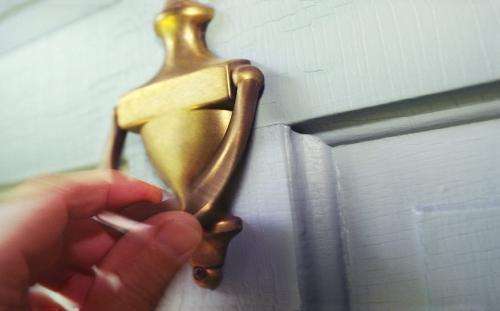 "The simple flier lowers the share of people answering the door, relative to the people who did not have warning of the visit, but it does not affect the share of people giving," said List, the Homer J. Livingston Professor in Economics. "The opt-out option lowers both the share of people answering the door and the share of individuals giving," he said. The drop in women's giving largely drives this change, List explained. About three percent of women and men gave money when the visit was unannounced. When allowed to opt-out, men's giving dropped slightly, while women's giving fell to about half of the level of previous giving. When the scholars looked over other data in the study to determine gender-specific altruism distributions, they found that women were more likely at the margin of giving to a charitable cause, and therefore more likely to opt-out if they had a chance. "We need more study on this issue, but it could be that women are more sensitive to social cues than are men, and that is why they are more likely to give in situations where they don't have an easy way to avoid a donation, such as when they are asked for a donation face-to-face," List said. The researchers also considered the impact of people's apprehension, particularly among women, to opening the door to a stranger, List said. "We found that in an unannounced visit, women are just as likely to open the door and give as men," he said. If security were a particularly strong concern among women, the gender differences would have appeared among the people who were contacted unannounced, he said.